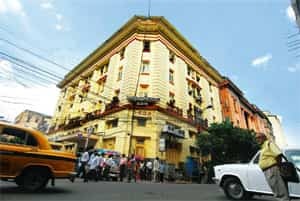 Kolkata: Having managed to restart trading in the shares of steel ministry-controlled iron ore miner Orissa Minerals Development Co. Ltd (OMDC) on Saturday after 24 years, the Calcutta Stock Exchange (CSE) is looking to bring back on its trading platform shares of more firms that are listed on it but whose stocks are not traded any more. OMDC, which was last traded on the exchange in 1985 at Rs3.75 a share, opened at Rs27,000 and closed at Rs27,900 on Saturday, making it one of the most expensive stocks in India. Some 54 shares of OMDC changed hands through 15 trades in the one-hour trading session. Yet, because the exchange currently has only around 100 brokers, the CSE authorities were initially worried that there might not be many takers for OMDC’s shares. But in the end there were many buyers despite the stringent margin requirements. “I am relieved," said Molly Thambi, CSE’s managing director and chief executive officer, at the end of the trading session on Saturday. “People might not have made millions on the first day of trading, but if trading continues, many people will make a lot of money out of a legacy investment which they had written off 20 years ago," said a stockbroker who had deposited 73 shares of OMDC with the exchange but managed to sell just four. He spoke on condition of anonymity. Having received a “better than expected" response to OMDC’s return to its trading platform, the exchange is now trying to identify more companies in which trading could be restarted, according to Thambi. “There are many companies that were listed only on this exchange but are not traded any more—some are good, some are not. Also, many companies have approached us to help restart trading in their shares, but we need to be careful," she said. A year or so ago, a defunct retailer, whose shares were listed only on CSE and the Madras Stock Exchange, had approached the CSE authorities to withdraw suspension on trading. “On closer examination, we found out that the company had defaulted to lenders, and was about to go into liquidation," said the CSE official quoted earlier. The exchange on Saturday launched an “amnesty scheme" under which companies that were suspended years ago for not complying with listing norms could return to the bourse by “fulfilling listing requirements for the last two (fiscal) years", Thambi said. Companies could apply for withdrawal of suspension of trading in their shares till 31 December. “We have seen that in the case of many companies, the offence wasn’t of a serious nature. Yet trading in their shares had to be suspended in keeping with the law," said the CSE official quoted in the first instance. “Some of these companies do not exist any more, but some are doing well—for instance, a tea company which has sold its tea estates has become a big player in real estate. There would be a lot of interest if trading in the shares of this company could be restarted," he added. Since March 2001, when a group of CSE brokers defaulted, leading to a Rs120 crore payment crisis, people have stopped trading on the exchange, which has been struggling for survival.